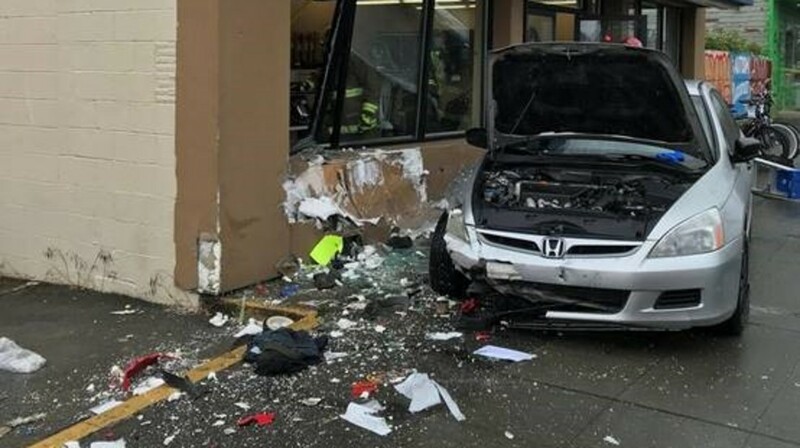 A man was struck by a vehicle moments before it crashed into a Shoreline storefront on Monday, according to Shoreline Fire Department. The incident occurred around 10 a.m. at Cash America, a pawn shop in the 17100 block of Aurora Avenue North. According to officials, a man was work on equipment near the building when a car jumped the curb and pinned him against the building. He was taken to Harborview Medical Center in Seattle with "lower body trauma," such as leg and foot injuries. Medics said the man was conscious when put into the ambulance. Shoreline Fire took photos of the crash scene, which show significant damage to the front of the building. Every year there are thousands of storefront crashes in the United States. The Storefront Safety Council estimates there are about 20,000 of these incidents each year. Convenience stores are one of the most likely businesses to be hit by vehicles. 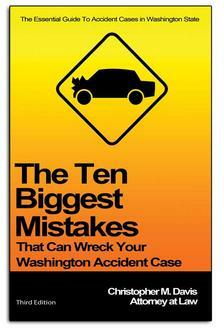 More than 7,300 convenience store crashes occur each year. Other common places for these incidents: retail store (24%), commercial building (23%), restaurant (19%) and office (7%). RELATED: Can Building Owners Be Held Liable For Injuries or Death When A Vehicle Crashes Into A Storefront? When dealing with storefront crashes and any other type of vehicle-into-building incident, it's important that victims and their family know their legal rights. Davis Law Group, P.S., saw an example of that just a few years ago. Our law firm was contacted by Larry, whose wife, Kaye, had been killed when a car crashed through a Renton building while she was working in 2012. The otherwise normal day turned tragic when an elderly driver failed to properly negotiate a turn, resulting in the fatal crash. After interviewing multiple attorneys, Larry chose Davis Law Group to pursue a wrongful death lawsuit on Kaye's behalf. The case went to a jury trial, but the sides decided to settle for $1.35 million before the trial was completed. Attorney Chris Davis and the storefront crash attorneys at Davis Law Group are here to hold negligent drivers and property owners accountable. If you or someone you know has been injured in a storefront accident, we can help you pursue compensation for your suffering and medical expenses. Call our Seattle office today at (206) 727-4000, use the chat feature below or fill out the form on this page for a free case evaluation. We operate on a contingency fee basis, meaning we don't get paid unless you win.